I remember loving plum jam as a teenager. It seemed like a rare thing at the time, when the rest of the world was taken with grape jelly. White plum jam has a fruity tartness that sets it above the rest in my mind. One of the stops on our recent road trip was a B&B in the Loire Valley, The Chancellerie in Huismes. Our hosts were the brand new owners, recently relocated from Paris. Every morning, Bertrand would make a trip to the local bakery, and a basket with croissants and a sliced up baguette would be waiting for us. 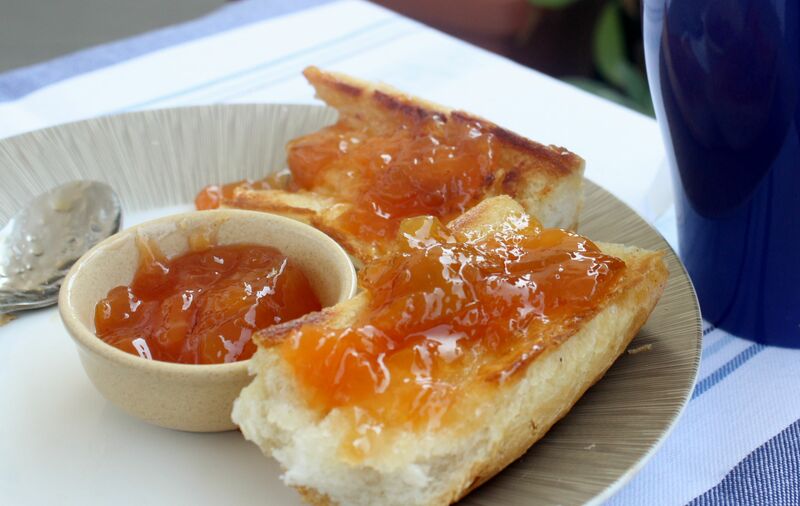 His wife, Claire, provided a wonderful selection of homemade jams, our favorite of which was made from Mirabelle plums, a yellow skinned plum that grows in Eastern France. 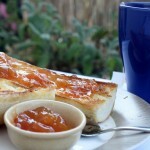 There was much more to our breakfast, but these baked goods and jam were the highlight to me. 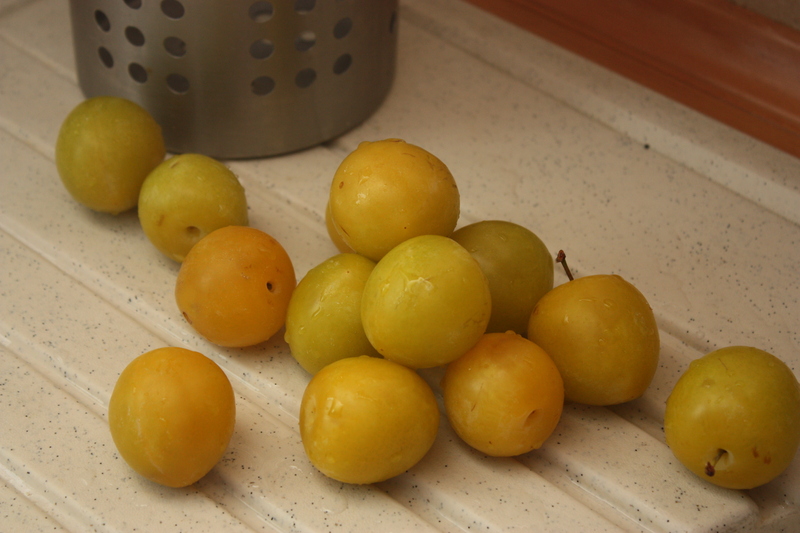 When I saw these plums at our local market in Poznan, I had to try making jam. I don’t know if these are Mirabelle plums, but I can tell you, they made a fine jam. This is definitely something I’ll do more of when we get home. Right now, I’m thinking about the fact that we’re moving back to the US in five months. No point in filing up the pantry with jam now. Before I get to the recipe, I’ll be perfectly honest and tell you that my pantry, in our small Polish apartment is actually a large cardboard box that sits in the hallway closet. I keep all of my baking paraphernalia, from vanilla extract to candied cocoa nibs, in the box because there’s no room for them in our little blue kitchen. Add the sugar with pectin and continue cooking uncovered, stirring frequently, about 20 more minutes, until mixture gels up when you place a dab on a cold plate. Pour into sterile jars and refrigerate after cooling. I made a small amount that I knew would be eaten soon. 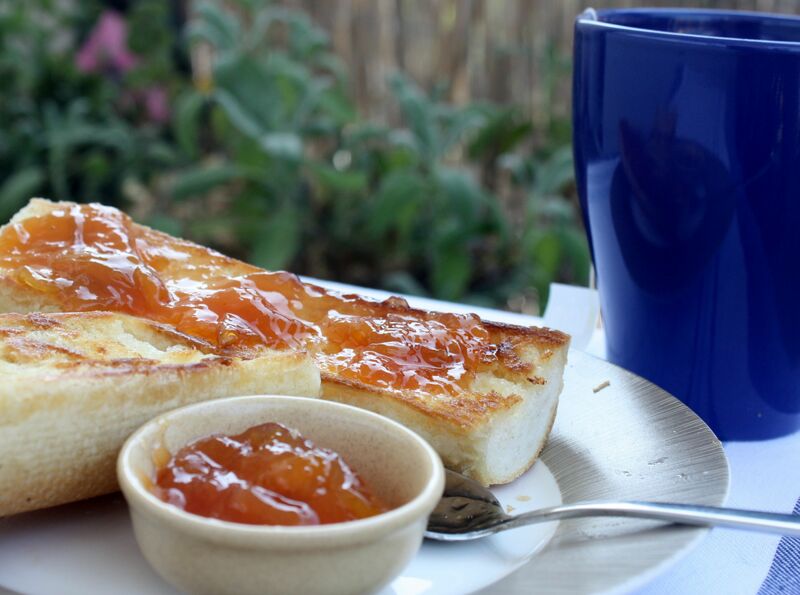 If you’re making a large batch, you’ll want to properly can the jam or seal with a thick layer of paraffin. If this sugar isn’t available in your area, use the fruit and sugar proportions suggested on your favorite brand of pectin. Such a great post Lois!